Fall in Love with Mr. Wright this Christmas! Release Day Excerpt & Giveaway! In this scene, Sarah accompanies Ryan home to Connecticut to attend an awards gala at his former high school. They wind up alone on the football field where Sarah suggest Ryan show her his quarterback moves. “Noted.” Once again, he lobbed the ball in her direction. Knowing he’d follow, she grabbed the ball out of the air and ran as fast as she physically could in her dress. Ryan caught up a little too quickly for her liking, so she dodged right and then quickly faked a left, throwing him off just long enough to dash straight for the end zone. Before she could celebrate victory, Ryan grabbed her waist and lifted her off the ground. “I win, I win!” she shrieked between laughs. Ryan gently put her down and she turned around, standing inches from him. “See? I wouldn’t have lost you a game,” she said, hugging the football. “Nope,” he said, not moving from his spot. Maybe it was the champagne, or maybe it was her pesky new football-player fantasy, but she stepped closer into his space. “Are you going to show me how you celebrated touchdowns? I’d love to see you do one of those funny dances players do.” “I could do that.” He touched her cheek with his knuckle, letting it linger. “But I’d rather do this.” He leaned down and brushed her lips with his. Just a simple touch of warm, soft skin that left her drifting forward. And then it was over. Ryan pulled back, his eyes hooded, his gaze hypnotizing. She clutched the football and blinked up at him, her mind swirling with a thousand thoughts. At the top of the list? Holy crap. Ryan Wright just kissed me. Followed quickly by, I want him to do it again. No. Bad idea. Ryan was her colleague. Her friend. Kissing him would ruin everything. She’d have to quit her job because no way could she pretend like nothing happened, and it would hurt too much to see him, knowing a momentary lapse of judgment cost her their relationship. She willed herself to step back…and failed. What are you doing? You’re supposed to want Logan. You’re here, at this gala, for Logan. But was she? When Ryan invited her, Sarah had been prepared to say yes before he even mentioned Logan. She’d never had as much fun with a guy in her life as she’d had with Ryan the past year. He was incredibly hot, apparently thought she was hot, and was by far one of the most thoughtful and charming men she’d ever met. He’d rescued a kitten at the expense of his arm, for God’s sake. Did she mention he was hot? She spiked the ball and tugged Ryan back down. His immediate groan sent thrills skittering across her chest, and lower. His mouth fit over hers perfectly and, oh God, that only added to her desperation. She parted her lips, inviting him in, needing to taste him. She might die if she didn’t. So much for a little kiss. Fall in Love with Mr. Wright this Christmas! 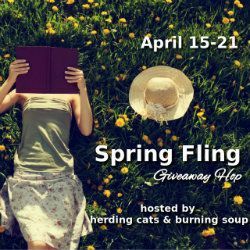 Enter the Rafflecopter Giveaway! In celebration of my holiday rom com, Falling for Mr. Wright, I’m offering the CUTEST gift set to one lucky winner. 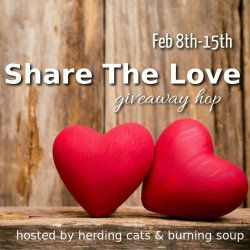 Enter the Rafflecopter Giveaway for a chance to win! Falling for Mr. Wright is available for pre-order! Grab your copy today, and Ryan Wright will be ready for you on December 4! Who is my favorite book boyfriend? I’m often asked who my favorite hero is out of all my books. While I love them each for different reasons, my all time favorite is Drew Cannon from Destination Wedding and Holiday Wedding. Drew massively messed up his relationship with Lauren Kincaid in Destination Wedding. I’m talking huge screw up. I even wrote about it in a fun character interview between him and me that originally appeared on the Crimson Romance blog. Fast forward a year after Destination Wedding released. I was having a medical procedure done that I needed to be put under. I warned everyone that I was a romance author working on a book and that if I mention a Jason it’s my hero in my current story. Well, I did babble but it wasn’t Jason. It was Drew who I talked about while asleep, and apparently I was in an argument with him regarding the outcome of his story! Shortly after, I began writing Holiday Wedding! Here’s the June 2013 interview with my favorite book boyfriend! Falling for Mr. Wright Cover Reveal! It’s always a fun day when an author receives an e-mail with her cover attached for the first-time. Actually, it is THE day! Only second to release day. It’s beyond exciting to see what your publisher and cover artist have come up with to best show the world what your book is about. It’s a pretty cool adrenaline rush. But there was no frown or heart dropping to stomach when I opened my e-mail to view my Lovestruck cover with Entangled. I LOVED it! How much do I love my new cover? Here are my top three reasons why this cover is the best cover for this book! 3. Because I can just picture my hero, Ryan Wright, and heroine, Sarah Leonard, flirting on a bean bag chair at NPH Designs, the eco-friendly architectural firm they work at in NYC. 2. I seriously need to find a teal skirt like the one the cover model is wearing. (If you know where I can buy one, will you leave a link in the comments?) And what about bean bag chairs in the office? It’s sooooo millennial and so fun! 1. My heroine’s clearly fallen for my hero in this cover … Ha, if only it was that easy for them! Happy sigh. It’s just perfect. Thank you, Entangled and Heather Howland. Falling for Mr. Wright releases on Dec. 4, 2017. Bloggers, if you are on NetGalley and interested in reviewing, you’ll find the link here. In celebration of it’s upcoming release, I’m having a massive giveaway of tote bags, Clinique products, signed books and other holiday goodies to my e-newsletter subscribers. Sign up by November 15 on my website’s homepage for a chance to win! Click, Bid, & Win! The Maryland Romance Writers Online Auction is Live! And I’m giving away the cutest Destination Wedding gift set that includes the cutest pink Vera Bradley cosmetic bag. Check it out! Bidding ends at 11 p.m. (Eastern Time) on October 23rd, so now is the perfect time to place your bid! Happy Spring! I, for one, am so happy to say a big ‘ole see ya to Winter and am looking forward to warm months ahead reading great books. Right now I’m reading Sweet Texas Kiss (Book 1) and Sweet Texas Fire (Book 2). I know the series well, however, in that I wrote the last book in it, Sweet Texas Charm. All three books are part of the Sweet Texas Secrets trilogy that I had so much fun being a part of. When guacamole mogul Jack Cooper dies in small town Sweet Ridge, Texas, he leaves his three sons an inheritance they never expected … true love! I had a blast building the world of Sweet Ridge, Texas and developing all our heroes and heroines with Monica Tillery and Nicole Flockton. The series has lots of love, a little mystery and a whole lot of guacamole. So, what are you reading this spring? Leave a comment for a chance to win a $5.00 Amazon gift card. Do you love $0.99 boxsets? I’ve got books in three: Second Time Around, Holiday Fling and the Emerald Springs Legacy. One click today!